Apple released today, the second public beta version of iOS 12. This will allow non-developers to check out the latest features of the new iOS build before its release later this year. The beta includes the Apple Maps update, which for now is limited to navigation in the San Francisco-Bay area. It also features new activity-themed stickers in Messages, and exterminates CarPlay and GPS bugs that were found in the first public beta. Some of the other changes found with the second iOS 12 public beta include the return of the AirPods feature that stops playback when one AirPod is removed from an ear. Problems with third party apps like Twitter and Skype have been repaired, the weather widget has returned, and Spam calls and texts no longer show a blacked out message. If you have subscribed to the Apple Beta Software Program, you can install iOS 12 Public beta 2 by tapping on the Settings app and going to General > Software update. Click on Software & Install. You might want to make sure that you're connected to a Wi-Fi signal, or have a strong cellular connection. Also, make sure your battery is fully charged before you start the process. 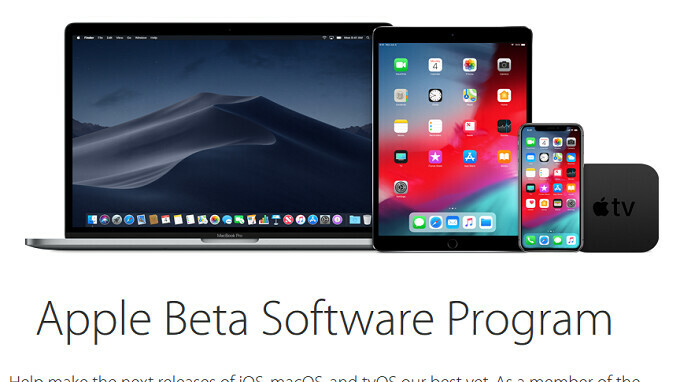 To sign up to the Apple Beta Software Program, you need to go to beta.apple.com. Before you decide to go ahead, keep in mind that this is not the final version of iOS 12 for a reason. You can expect the beta to be buggy, and several features might not work correctly. As a result, unless you're a masochist, you might not want to install the iOS 12 beta on your daily driver. If you do end up subscribing to the Apple Beta Software Program, you will be able to give Apple your feedback about your experience with the iOS 12 beta. All you need to do is open the Feedback Assistant app and write what is on your mind. I did the first beta program on my iPad Air 2, and wound up having to take it to Apple and wipe it, to get out. No more betas for me, I’ll just wait till September. 12 has some nice goodies, but is overall a mild update. 13 is the big one. Bet we were in the same situation, but the only difference is I wiped it by myself. my 5s has been in public beta testing since apple started public betas - and other then expected bugs from running betas - it's fine, actually usable device... ios12: pb1 has done wonders to that old thing. I remember when samsung did the overhaul for touch wiz and called it "experience" that was kinda like what ios 12 is with Apple. Except instead of removing bloat and some redundancies - apple cleaned up code. anyways really happy apple and samsung did this. So crazy how it's making my 5 year old iPad smooth again.. Feels brand new. Ridiculously buttery. It's why I love Apple. I don't after them reviving my 5 year old iPad. This is all what iOS12 is about - refinement. I writing this on my iPhone 5s running iOS 12 beta 2. The apps take a few seconds longer to launch compared to my iPhone 8 Plus. Typing in here is as fast as on 8 Plus. Everything is running smoother than iOS 11. iPhone 5s is still a good phone, fully usable. yeah running it on my 5s as well, thought it was shelved for ever as a novelty gadget (love the design) but now it's coming back and my daughter is gonna be ready for her first phone in a year or so.